Have you ever waited in line at the supermarket, then grabbed that pack of gum you’ve been eyeing for the last 10 minutes? Have you ever gone shopping after having a bad day, only to spontaneously purchase clothing you still haven’t worn? 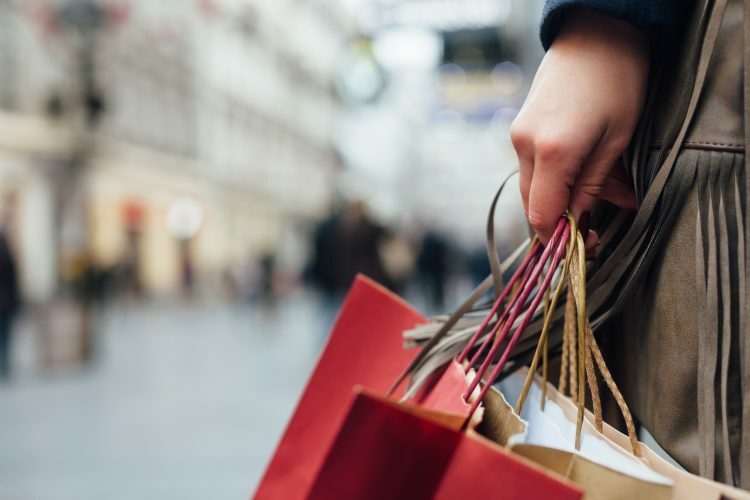 Impulse buying affects everyone at some point, and marketers capitalize on this habit without shame, using advertising strategies and other tricks designed to make you spend more. Is impulse buying putting a major dent in your personal budget? Here are 7 ways to tame your habit and avoid spending more than planned. People who feel sad, upset, or stressed tend to go shopping with hopes of finding something that will cheer them up. Unfortunately, shopping is often a temporary mood-booster, and will only make things worse if your woes are of a financial nature. Instead of going shopping when you’re feeling blue, find healthier ways to manage stress that don’t involve spending, such as going for a walk or spending time with people who make you happy. Avoid leaving home with an empty stomach, since you’re prone to spending more on food — whether it’s fast food, dining out, or grocery shopping. Plus, your eyes will be larger than your stomach, meaning you’ll order more food than what you can truly eat. Always grab a bite to eat before you leave the house so your hunger hormones don’t end up controlling your pocketbook. When you see something you want that isn’t on your shopping list or that you hadn’t originally planned on buying, set a time rule that makes you wait a certain amount of time before you head to the checkout. This helps you make a sounder buying decision in the end. For example, put the item in your shopping cart, wait at least 30 minutes, then ask yourself whether you really want that item. If you have strong feelings about following through, go check out — otherwise, put it back. Before caving into an impulse buy, calculate the amount of work you’ll have to do to pay off the item, and ask yourself whether this item is worth your valuable time and money. For example, if want to buy a $50 dress and you make $25 per hour at work, is the dress really worth two hours of hard work and labor? Thinking about spending in these terms can help you curb impulse-buying in many instances. Are you friends with a shopaholic who always complains about credit card debt? Is your mother always convincing you to buy useless gadgets she swears will make your life easier? Avoid going shopping with people who also are impulse-buyers, or who persuade you to buy things you don’t need. Go shopping by yourself, or with people who help you see reason when you’re debating over purchases you might regret later on. Items that go on sale might still be costly even when marked down. Many shoppers tend to buy items they don’t need just because they’re on sale, even when they have no use for said items. Instead of getting caught up in a retailer’s sales and clearance game, keep in mind that you’ll save more money if you don’t buy sale items at all. If you’re heading out to buy certain items, don’t take all your credit cards “just in case.” Bring the one credit or debit card that has enough funds available for the items you’re buying, and leave the rest at home. This helps prevent you from making impulse buys that could put a massive dent in your savings account. Do you find yourself constantly battling the urge to impulse-buy? Consider funding excess purchases with gift cards from iRazoo! Sign up today and start earning points that can be redeemed for gift cards. Complete surveys, search the Internet, watch videos, and more to earn your way to free gift cards for your favorite retail stores.